Abstract Flower Paintings are probably one of the most tempting things to transform on to art. Flowers are beautiful to look at and you will find that transforming the picture of an object that is beautiful on to paper or canvas using an artistic medium. This along with many other reasons is why artists love painting art with a floral theme. With abstract art style the artist also has the freedom to play around with the actual being painted. In the case of floral art in the abstract style the artist can play with the position of the flower, the placement and the hues in which they are painted. Though floral artworks have been renowned in the impressionist style now the abstract style has also caught on. More galleries are featuring such paintings. Since painting is supposed to be the transmission of the inner most feelings and thoughts of the artist on to a media which can be viewed by the style one can see how he/she feels when a flower is painted. It definitely is more satisfying than merely photographing the flower. Though when you look at the finished painting of a flower you would only see the sheer beauty of it, the painting of a flower is rather difficult. In fact much attention has to be paid to the choosing of colors, the layering of different shades, the aspect of adding light to the painting and the overall finish. With abstract painting this can be left to the artist’s interpretation to a certain extent. However even this by no means is an easy feat. A good painting of a flower would change the atmosphere and mood of a room exactly like having actual flowers would do. Among the most sought after flowers that artists like to paint are the tulips, the roses and the exotic orchids. 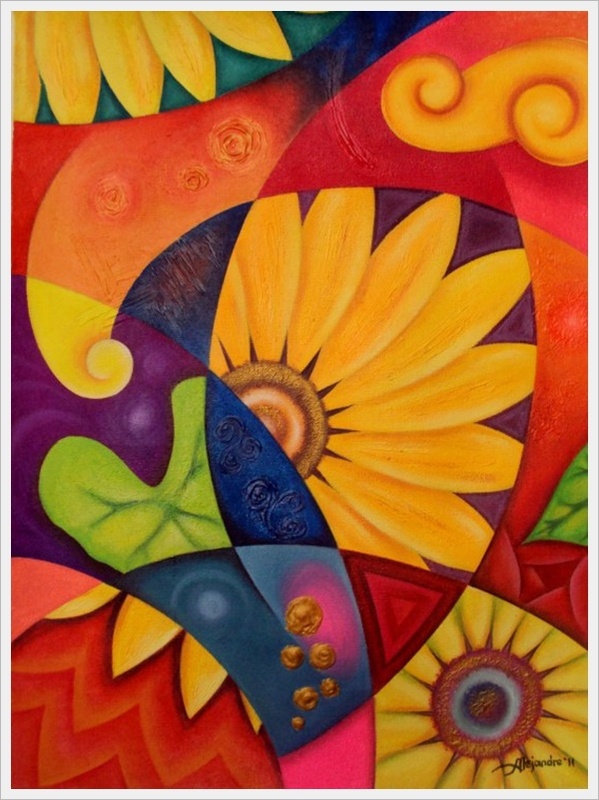 Enjoy some of the creative Abstract Flower Paintings.